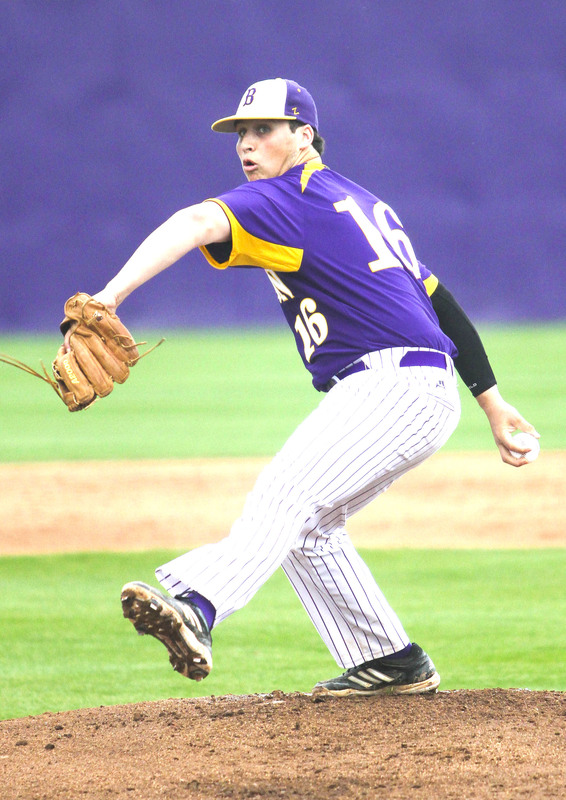 Benton’s Aaron Henigan pitched a no-hitter as the Tigers edged Minden 2-0 in a District 1-4A baseball game Monday at Benton. It was the completion of a game suspended Friday night after 2 1/2 innings because of rain. Neither team had a hit or run when the game resumed. Henigan struck out four and walked two. “As far as being in that No. 1 spot for us, every game he’s gone out this year he’s matched his own effort the game before. And when he’s on the mound we know he’s going to compete to the very end. Henigan needed to be on top of his game because Minden pitcher Jay Beene was also on top of his. Benton’s Aaron Henigan completed a no-hitter against Minden Monday at Benton. The game was resumed in the third after being delayed by rain Friday. Henigan struck out four and walked two in the 2-0 victory. Beene allowed just three hits, but one was a two-run homer by Cameron Horton with two outs in the third. Horton’s homer came after Jordan Shaffer kept the inning alive by reaching first on an error. “(Horton) came through after a great at-bat by the guy in front of him,” Stephens said. “That’s the one thing we talk about the most. Shaffer, with two strikes, put the ball in play and gives Cameron a chance to hit a two-run jack. “That’s the thing with both of those guys. Right now Shaffer and Horton are as hot as anybody we have and it’s because if it’s their turn to hit, they hit and if it’s their turn to take a walk, they take a walk. The Tigers, ranked No. 4 in the latest Louisiana Baseball Coaches Association Class 4A poll, lost a heartbreaker, 5-4, to Northwood Tuesday on a two-run homer in the bottom of the seventh. They are 14-7 overall and 2-1 in district. “I think we’re going to be fine,” Stephens said after the Minden game. “We’ve got two out of the three phases of the game right now working for us. We’re pitching well. We’re playing good defense. We’ve got the good hitters. Minden dropped to 8-10 and 1-1.